Last Minute Christmas 30% Flash Sale! StayMore SaveMore 30% 2019 Offer! Early Bird 25% 2019 Offer! 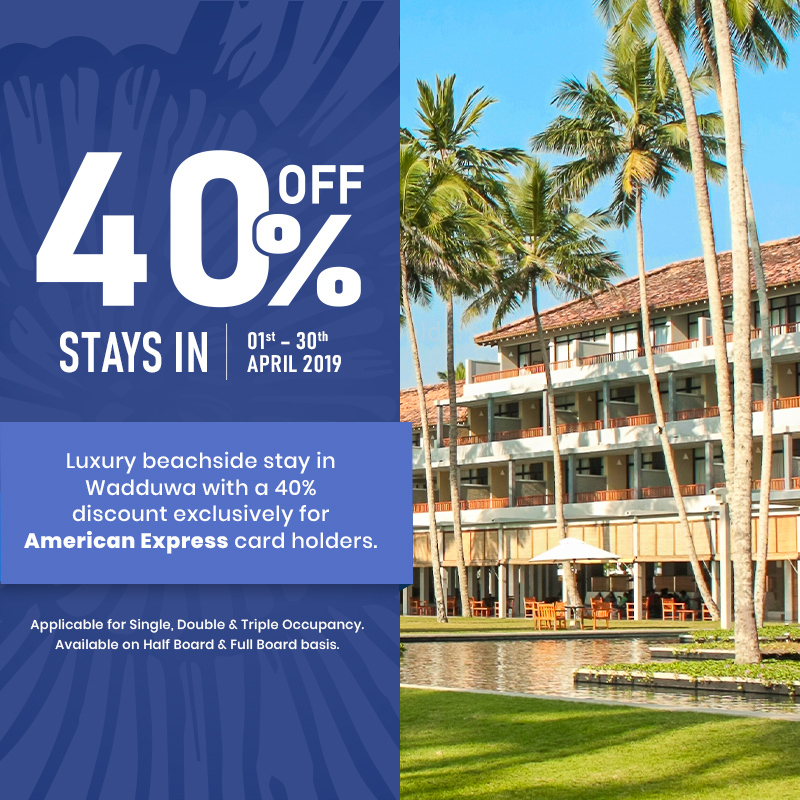 Luxury beach side stay in Wadduwa with a 40% discount exclusively for American Express card holders. Make the best out of the April holiday season with a memorable stay in Wadduwa. 40% off stays in April; between 01 – 30 April 2019. Applicable for Single, Double & Triple Occupancy. Available on Half Board & Full Board basis.